With the right approach to measurement, teams become self-organising, more aligned to strategy, and accountable for results. Who needs managers? Are Your Strategic Initiatives High-Leverage or Ordinary? The implementation of evidence-based leadership is iterative. It's too profound a shift to happen in one go. And it will never happen if we wait to thoroughly research our current state, detail a change management plan, save enough budget to resource it all, and delay until the time is just right and the planets have lined up. Strategy execution more often than not feels like work, rather than true execution. Sometimes it feels like rework, when we keep redesigning it. Other times it feels like guesswork, implementing without really knowing if it’s working. And then there are times when it’s just plain hard work to get anything to happen. What we want is smooth execution to take the place of the work. 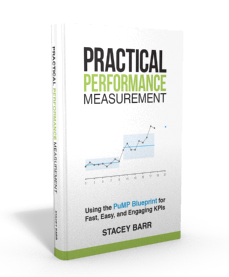 Do you believe that strategy is about projects and initiatives, so you don't need to measure your goals? Do you monitor your actions, because if they're completed, that means your goals are achieved? 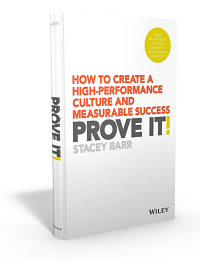 Do you rely on Staff Turnover Rate to assess how engaged your workforce is? If so, you're wasting your goals! 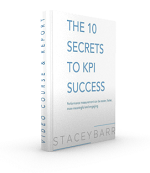 Are KPIs Relevant to All Strategies?